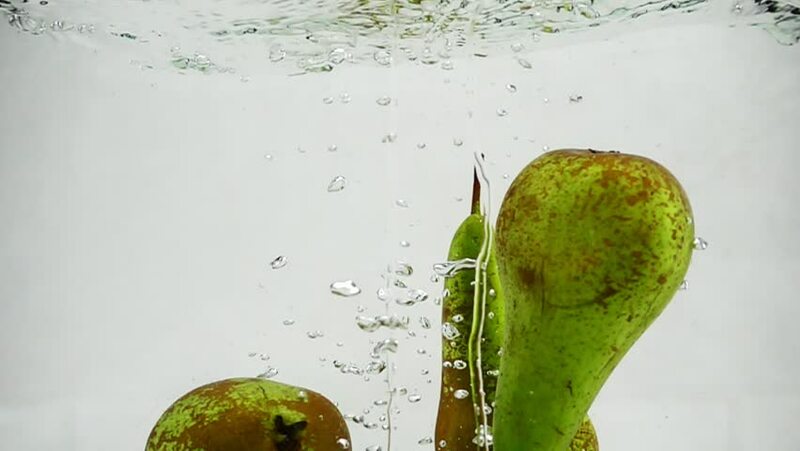 Conference pears are immersed in water with bubbles. Pears on white isolated background in slow motion. hd00:16Cucumbers in water. Slow motion. 4k00:28Close up of a refreshing sparkling bubbles water with slices of lime and ice. 60fps 4K shot. hd00:16Quail eggs fall in water. Slow motion.